You have seen and heard Dona Klein’s piano and organ music through the years. 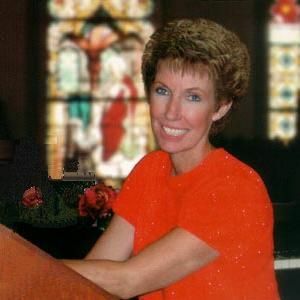 Whether with the Ken Cox VOP evangelistic crusades or accompanying your favorite Chapel artists on radio and TV, Dona’s music truly is a gift from God. "In a Little While," the albums lead song, is followed by more than 21 tracks and six other medleys. You will sing along with all the hymns – just like karaoke. The album closes with "O Jesus, I Have Promised."